As a lead up to a panel I will be on about superheroes and religion, I am reprinting here a series originally created for Clearance Bin Review. This series focuses on one of the current driving forces in American pop culture: superheroes. In the previous article, I focused on working out just what exactly is a superhero, and how the world saw this American export. To continue this series in part two, let’s consider what superheroes the world is exporting back to us. So that we can end up there, we again have to start in the United States. 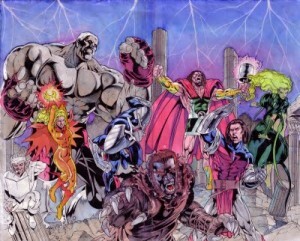 I find that there are at least three representations for superheroes coming from a country other than the U.S. First, there are the superheroes that appear in American comics as representatives, or super-ambassadors, for their countries; specifically, for this discussion, are those representatives of real countries, and not fictional countries. Second, there are superheroes that have originated in other countries and to some extent specifically emulate their American counterparts. Third, there are the superheroes from other countries that are not explicitly identified as superheroes, but which we could identify them as such given our definition for superheroes. To begin, American superhero comics have history of creating superheroes from other countries to fight alongside those classifiable as United States citizens. Indeed, the superhero considered the first by many, Superman, is essentially a foreigner to the country, even if adopted into a heartland American family. Now, there are a number of Earth-based superheroes that have come from fictional countries, such as Aquaman and Namor (both of Atlantis), or Black Panther of Wakanda, or Wonder Woman of Themyscira. Across the two main American superhero universes, there seem to be more non-American superheroes from fictional countries in the DC Universe than the Marvel Universe, which seems to reflect DC Universe’s attempt to be more separate from the real world while Marvel Universe has tended to be more grounded in the real world. However, in each universe, there are many who do hail from countries in our world. In the Marvel Universe, we find superheroes from all corners of the globe; some only in supporting roles, while some had their own titles for a while. Many of them are portrayed in ways that directly links them to their countries of origin. 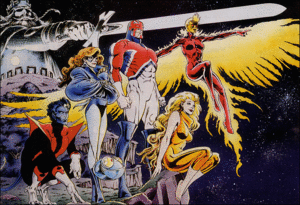 The team Alpha Flight hails from Canada, with members reflecting their northern and cold Canadian heritage, such as Northstar, Snowbird, and Aurora, with leader Guardian draped in the Canadian flag. Sporting the Union Jack on his chest, Captain Britain hails from the United Kingdom and, after being joined by some X-Men, operated Excalibur as the country’s main superhero team. A superhuman agent for the Mossad in Israel, Sabra was born in Jerusalem, with a name that means “a Jew born in Israel”. With a fiery temper and matching outfit, Sunfire hails from Japan, and his superhero identity reflects the nation’s identity as the “land of the rising sun”. There have also been a number of Professor Xavier’s mutants to reflect that “it’s a small world” of global diversity, such as Nightcrawler from Germany, Sunspot from Brazil, Maggot from South Africa, Wolfsbane from Scotland, and Colossus from Russia. Marvel even published an Olympics of sorts with the globe-spanning Contest of Champions mini-series. 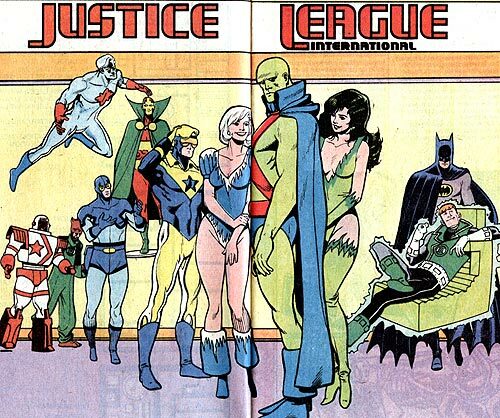 In the DC Universe we have had the Justice League International, the Justice League Europe, and even the Justice League Antarctica, as a one-off parody of sorts, as explicitly multinational versions of what used to be the Justice League of America before recent changes to drop the explicit connection to American national identity. However, many of those members were either Americans or individuals from fictional places or times. Those that were from real countries included: the female Dr. Light, Kimiyo Hoshi of Japan; the Russian Dmitri Pushkin as Red Rocket; the Brazilian Fire aka Beatriz da Costa; the twins Vivian and Constance D’Aramis as the French Crimson Fox; and the Indian Chandi Gupta as Maya. 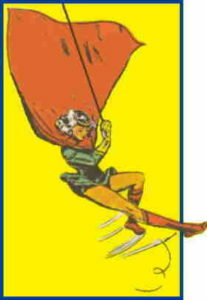 Nelvana of the Northern Lights, the first Canadian superhero with her debut in 1941 even preceding that of Wonder Woman’s by four months. 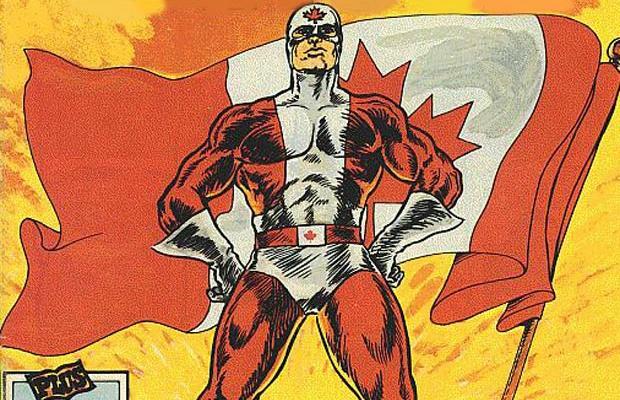 Captain Canuck, also draped with the Canadian flag, and powered with super-strength and super-speed. From across the pond, a number of European countries have produced characters marketed as superheroes. In non-English speaking Europe, these characters include the French/Spanish heroine Felina, who is a combination Batman/Catwoman. 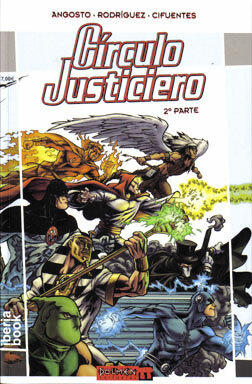 Also from Spain are two superhero teams, Iberia Inc, which sometimes crossed boundaries into the Marvel Universe, and the Spanish version of the Justice League, the Circulo Justiciero. From Itality comes Diabolik, a master thief with advanced technology who’ll sometimes steal from criminals, and Captain Italia, the Italian version of having a patriotic defender of the nation. In the United Kingdom, Marvel and DC have had a major influence as publishers, helping to craft UK heroes for their UK audiences. Then there are those heroes that are British grown but unaffiliated with the two big superhero universes. For example, take Marvelman, aka Miracleman, a character with a complicated history, who is akin to the American Captain Marvel, but transformed into a British superhero. Although perhaps on the fringe of superhero-dom, and mostly an Australian character, Tank Girl definitely reflects the British pop and punk culture from which she arose. While an American in the stories, Judge Dredd definitely represents the struggles of Great Britain during the Margaret Thatcher years; and a small scale superhero team, BritForce, with heroes directly reflecting various aspects of British identity, such as Stonehenge and Britannia. Even further a-stream from the United States, in countries with less of a comics press than those in Europe, we still see comics creators developing their own superheroes. 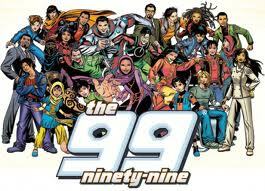 In the Middle East, Israel has seen a short-lived superhero in Sabraman, with many powers and a name to reflect his heritage, while a Kuwaiti comics publisher created The 99, a superhero team to reflect Islamic culture and virtues. The virtues of Islam embodied in superheroes. 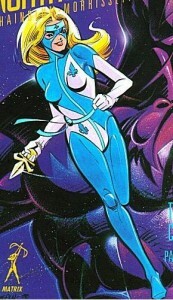 Indonesia has had a number of superheroes that reflect American characters in terms of power, origin and costume, such as: Gundala, ability to fire lightning bolts and run a super speeds, a la The Flash; Godam, with the powers, and appearance, of Superman; Aquanus, an extraterrestrial who’s adapted to thrive underwater; Putri Bintang, who’s costume resembles Wonder Woman and who’s power resembles Batman. I have not even begun to comprehensively cover all the superheroes that have been created around the world to reflect the American ideal – or to parody it, as parodying seems to be as common as parroting. And, as of yet, I have not mentioned Japanese productions. Given the position of Japanese publications in the comics world, through their output of manga, it does not seem befitting to not pay them special attention. The interesting thing about Japanese characters is that they, for the most part, do not as obviously attempt to identify themselves with the tradition of American superheroes. That is, they do not seem to be as desirous of the label as superheroes through common superhero tropes of mission, costume and identity as those from the countries previously discussed. While not necessarily distancing themselves from the American tradition, with its roots in European heroic tales, they have clearly drawn on aspects of it (mission, powers, costume) while maintaining their tradition in their country’s heroic and illustrated tales. This tension between drawing from American superheroes and trying to maintain their own heritage has led to genres in which we can find characters we would consider to be superheroes; genres such as “magical girls”, “shōnen” and “mecha”. Japanese manga has a variety of characters we would consider to be superheroes given our definition of those characters. Characters like The Sailor Scouts of Sailor Moon, Astro boy, Guyver, Goku of Dragonball, and many more could all be found with their origins in Japanese manga. This list would be expanded by considering anime series and live action series, such as the tokusatsu genre of television series that often featured superhero-like characters, such as Kamen Rider and the more well-known Mighty Morphin Power Rangers. If we really wanted to stretch the definition of superheroes, then we could even find it applying to the eponymous Japanese character Godzilla in some of his later incarnations as an anti-hero and rather reluctant protector of Japan. 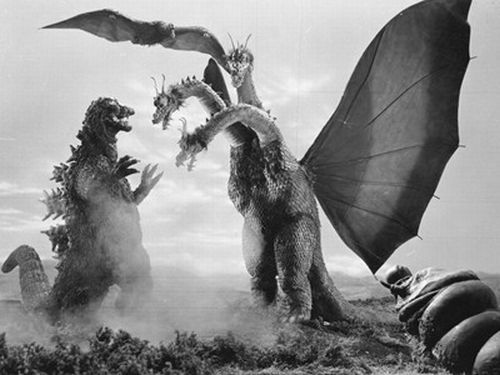 Godzilla: The monster to call when there’s an even bigger monster threatening Japan. By the same token of applying the parameters of this definition, then we can find other non-U.S. characters that, while not ostensibly or immediately identified as superheroes by their creators, could nonetheless be considered as such by others. For example, from Mexico comes the movie serial character El Santo. 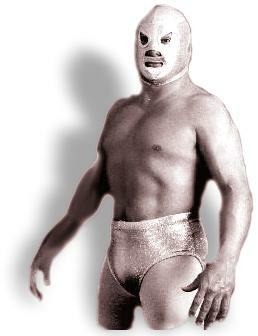 Although beginning as a very real professional Mexican wrestler, this luchador’s character became popular enough to migrate to the silver screen, where he would fight supernatural creatures, evil scientists, and common criminals – the same types of society threatening evils that ordinary superheroes make it their mission to defeat. He also had an identifiable costume in his mask, and his prowess in strength and wrestling provided him his powers. El Santo: The luchador who was so much more. Pippi Longstocking: Not since Samson has hair meant so much to a superhero. Another example comes from a series of Swedish children’s books. Having lived in Scandinavia, my Danish friends, when asked if there were any Scandinavian superheroes, would point to the famous character of Pippi Longstocking – aka Pippilotta Delicatessa Windowshade Mackrelmint Ephraim’s Daughter Longstocking – as another example. 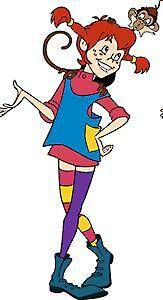 She has a clearly identifiable appearance with her long, red, braided pigtails and her patchwork clothing. While not as strong as Superman, she does have superhuman strength, given her size, age, and gender. And for children especially, she has a socially sanctioned mission: to mock and dupe bad adults. We can see then that the world is full of superheroes. They are superheroes made by the originator of the genre, American publishers, to be representatives of their foreign lands to American readers. They are superheroes made by the inhabitants of those foreign lands, to reflect their own national identity as well as what they see as the American superhero. And they are superheroes that perhaps are not called as such by their creators, but would fit our definition given their missions, their powers, and, especially, their visually iconic costumes. Next week, to finish this series, I address what is perhaps the most controversial topic regarding the definition of superheroes: whether or not legendary, mythical, and even religious figures would qualify as such given their focuses on mission, powers, and costume. Stay tuned!